I missed visiting with you all last week but my computer was boxed up and it just wasn't possible. We've had quite the adventure already! The day our moving truck arrived, the city had a water main break and the entire town of Emporia was without water...nothing says welcome like a little chaos!?! Luckily we had some very kind neighbors bring us a case of water to get through the day! But now that I'm all set up and ready I am super excited to share some fun things happening around the store! Tomorrow is a 5th Saturday - so shop hop ladies, grab your "old" bags and head on in to save 20% off store wide (excluding sale section). 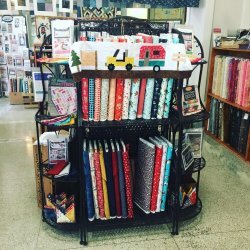 This is a great time to get those fabrics you've been eyeing! We are open 10:00-1:00 and can't wait to see you! 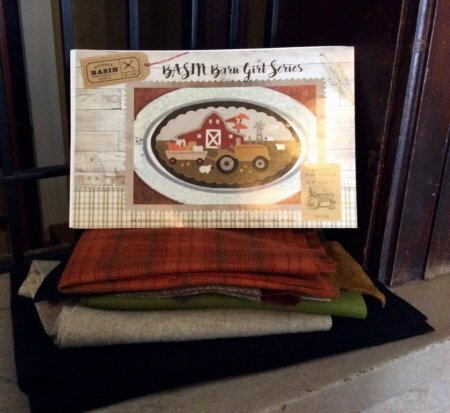 We are also working on getting some gorgeous fall wool kits out on the floor. Check out this one from Buttermilk Basin - doesn't that pile of pumpkins make you wish for cooler weather?? You all know we love quick and simple patterns - especially when we need to whip up something quick for a gift! 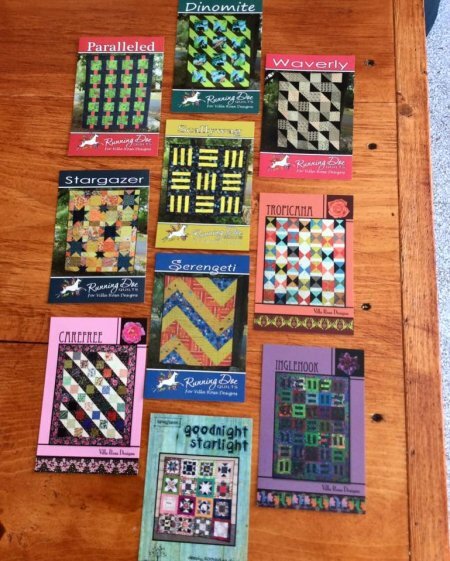 Check out these NEW patterns from Running Doe by Villa Rosa Designs! I'm thinking I may just need a couple of these in my own Villa Rosa collection for when the need arises! Row by Row has also begun! Check out this year's row! Interested in doing Row by Row - find more information and participating shops here. 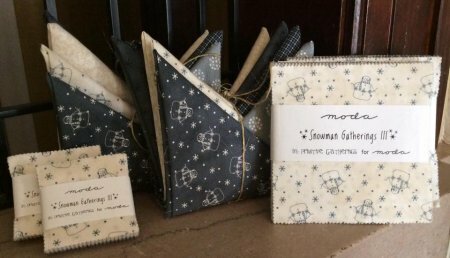 Patterns are available free in store and kits are available too! Stop on by and check it out! I hope you all are enjoying your Friday! I'm working diligently on getting the boys' play space set up so I can get back to sewing! A couple weeks away from my machine has me itching to get back to it! After all, a needle and thread keeps my soul fed! Chat with you all next week!